"Mirage Dancer has run two excellent races on his ventures here, finishing third to Benbatl in a fast-ground Hampton Court over 1m2f here last season, and a strongly-run race will bring his stamina to the fore. The 17:35 lacks a stand-out but he could be the class act of the party given his profile." It's amazing how much your thoughts change you more you look at a race, and Century Dream rather snuck up on me in the Queen Anne at 14:30. Just over a year ago, I tipped and backed him to win the London Gold Cup at Newbury, and he could only manage to finish fourth off a mark of 87, though to be fair the handicap worked out tremendously well. In the meantime, he has won six of his eight starts, and progressed so much that connections paid £55,000 to supplement for this Group 1 prize last week. I'm guessing his owner isn't short of a few quid anyway, but it was an understandable move given his recent improvement, and given this is far from being the most daunting of renewals of this race. He followed up his course-and-distance win here in May with a very smooth victory in the Diomed Stakes at Epsom last time, and it would be a mistake to undervalue the merit of the win just because the old boy Gabrial followed him home. He did so at a very respectful distance of 2¼ lengths for starters, and subsequent wins for the third and fourth put a shine on the form. True Valour came out and won a Group 3 at Leopardstown by 2¼ lengths, while the fourth Sovereign Debt won a strong Listed race at York at the weekend. There are obvious negatives, not least that the 40/1 with the Betfair Sportsbook disappeared on Monday morning. That Epsom form still leaves him with a fair bit to find with most of these, too, and ideally he would want softer ground. But it was officially good ground at Epsom and I am guessing that the course will want to start this meeting on a similar surface. The going stick readings certainly suggests that it won't be too quick and, all things considered, I think he is worth chancing at 33/1+ on the exchange given his progressive profile of late. This race clearly lacks a stand-out performer this year, but there are proven Group 1 winners in the field. Benbatl is the highest-rated horse in the field on a mark of 123 after his Dubai Turf win, and he is the one to beat if you think he will translate that much-improved form - he was rated just 114 before that victory - to this country. He is similar to Rhododendron in that while he stays 1m4f, he does have plenty of pace, and the filly successfully dropped back to the mile when inching out Lightning Spear in the Lockinge last time. But that form wouldn't scare you too much, and others that interested me at bigger prices were Deauville and Suedois, who finished behind Rhododendron. The problem for the former is that he is likely to cut out the donkey work for his stablemate - he is the only proven pace angle in here - so his winning chance may be compromised, hence I am reluctantly swerving him at 16/1 and bigger. At least Century Dream is just two stalls away from Deauville, though, so my strong-travelling selection can get a good tow into the race. If he is good enough, that is. It was impossible not to be taken with Calyx's stunning debut at Newmarket and Sergei Prokofiev is the current top dog in the Ballydoyle pecking order it seems, but they have clearly not been missed in the betting for the Coventry at 15:05 at around 11/4. The market suggests a win for either of the pair is odds-on. We don't roll that way though, so I am going to take them on with a win bet on Indigo Balance at [19.0], and an each-way poke on Gee Rex at 66/1 with the Betfair Sportsbook, who are offering four places on the race. Indigo Balance, a full brother to the classy 6f/7f winner Cable Bay, gets the nod simply because he is a far bigger price on the exchange than I expected after his impressive win at the Curragh on his debut. He clocked a very good time there, and the form is working out as well, with the runner-up and the fifth winning at the same track next time out. I will be playing to small stakes, given that we are dealing with unexposed two-year-olds here and guessing to a fair extent, but I have been nibbling away at Gee Rex at three-figure prices since last week and I have to stick him up here, too. The reason why is that he ran an extraordinary race to be beaten just 3 lengths in the Marble Hill on fast ground last time. as he looked booked for last place for a lot of the race. Go and take a look at the video of that Curragh race, and I reckon you'll chuck a fiver on him. He flew home to finish fourth, beaten by three Aidan O'Brien horses, and he is surely massively overpriced on that run. I see he is the Goffs London sale tonight, so it will be interesting to see what he fetches. I was very tempted to put up Finsbury Square at 33/1 each-way in the King's Stand at 15:40, after a hugely impressive soft-ground win in a Group 2 over 5f at Chantilly last time. And he ran an excellent fifth in the Diamond Jubilee here on a quick surface last year, too. But the front two in the market are superstars and below them the rest are pretty much of a similar standard, so this is one race I will sit out. That said, I will probably chuck a few quid on the French horse, but nothing serious, hence the no-tip option. The St James' Palace Stakes at 16:20 is a tricky race to call, and not least because the two horses that you may expect to go forward, US Navy Flag and Wootton, are drawn widest. As a result, this could become a messy and tactical affair. Their jockeys have a decision to make, but I hope Mickael Barzalona opts to bide his time and tries to settle his horse off the pace, as he is my bet in the race at [9.2] or bigger. 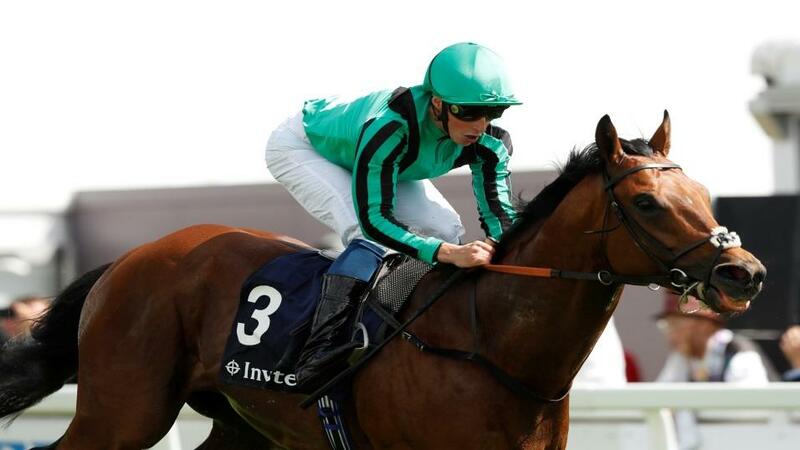 Settle is probably the operative word when it comes to Wootton as he ran far too free, took off and carted Barzalona around the bend in the French 2,000 Guineas last time. So in the circumstances, he probably excelled in being beaten just two lengths into fourth behind Olmedo, especially after meeting trouble close home as well. He started as favourite for that race after beating the winner in his prep race (The French Derby third Louis D'or was beaten 3¾ lengths there) and I think he will go very close if settling and handling the quicker ground. Without Parole is favourite after his Sandown defeat of Gabr, and connections expect big improvement on this quicker surface and considering he has only done two serious pieces of work after a problem with a foot abscess. However, it takes some leap of faith to have him at shorter in the betting than Tip Two Win, who split Saxon Warrior and Masar at Newmarket, and Romanised, who saw off US Navy Flag and Gustav Klimt in the Irish 2,000 Guineas at the Curragh. Willie Mullins has wheeled out five for the Ascot Stakes at 17:00 and you underestimate him at your peril in the staying races at this meeting. Indeed, he has won this race for three of the last six years. The gossip is that Stratum is the one, but he is under half the price he was last week (and it probably took very little money to do that), and Cesarewitch third Lagostovegas is arguably the most interesting of the lot in a first-time hood (Mullins is 10 from 53 with this option since 2013), even if Ryan Moore is on board Chelkar, the darkest of dark horses on his debut for the yard. But I am going to take them on with two horses that I think are guaranteed to relish the trip in Dubawi Fifty and Coeur De Lion. Dubawi Fifty came out of the clouds to finish fourth in the Cesarewitch and he again shaped as though a more extreme test of stamina would suit when fourth in the Chester Cup last time. He races off the same mark here and I expect a bold show under Silvestre De Sousa, even if connections are presumably doubtful about his ability to act on fast ground (he was withdrawn on good to firm at Musselburgh last season and has never raced on it). I was going to suggest backing him at 16/1 each way with the Betfair Sportsbook, but they have cut the horse to 10/1, so look to get with him at [15.5] win-only on the exchange now. I suppose there are similar ground concerns with Coeur De Lion but, again, this horse has been crying out for this sort of test, so the risk is worth it.. He has finished runner-up in his three starts over 2m2f to date, and he didn't get an ideal trip when powering home and just failing to get up in the Chester Plate last time when tried in first-time cheekpieces. A 3lb rise for that run was fair enough. The stable is in great form, with four of their last seven runners obliging going into Monday's racing, and I am happy to have a saver on him at [9.0] or bigger. The Sportsbook are offering an extra place in the last, so I will take advantage by putting up Mirage Dancer and Big Country at 6/1 and 18/1 each-way in the 17:35. They are drawn well in one and two respectively, and you'd expect Big Country to go forward along with Chain Of Daisies in seven, and hopefully Mirage Danger breaking well on the rail and maintaining a handy position. Mirage Dancer quickened up like a good horse to win over 1m4f at Goodwood last time, although he did take a little while to hit full stride there and carries a 3lb penalty for the win stepping down in trip. But that is nitpicking, as he was pretty impressive there and looks a lightly-raced horse well on the upgrade. He also has run two excellent races on his ventures here, finishing third to Benbatl in a fast-ground Hampton Court over 1m2f here last season, and a strongly-run race will bring his stamina to the fore. This race lacks a stand-out but he could be the class act of the party given his profile. As stated earlier, Big Country is one of those likely to set that gallop, and he too is on an upward curve to judge from his Redcar win off a mark of 103 in a quick time. He is mixing it in far classier circles here, but he could get the run of the race on the pace, in conditions that are ideal (1m2f on quick ground), and he could even maybe hang on for the win as the cavalry arrive late on behind him. Four places is a nice safety net if he doesn't.